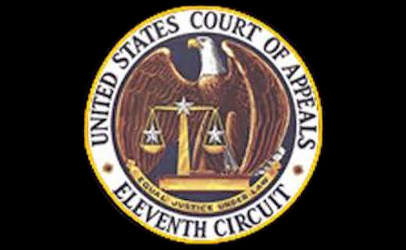 Petitions from the Parnell brothers for an appellate rehearing of their criminal convictions and sentences were denied by the U.S. Court of Appeals for the 11th Circuit in Atlanta on June 11. Further, their petitions for Rehearing En Banc were also rejected as no active judge asked to poll the Court. Stewart Parnell, former CEO of the now-defunct Peanut Corporation of America. It means Stewart Parnell, 64, and his brother Michael Parnell, 59, are down to two options. They could stay the Eleventh Circuit mandate by filing a writ of certiorari with the U.S. Supreme Court. Thousands of criminal cases file writs with the high court each year, but very few get reviewed. Their only other option is to settle to their current reality. Stewart has 22 more years to serve. He’ll be 86 years old on his release date from the federal prison in Estill, SC, which will be on Feb. 6, 2040. Michael has 15 more years remaining on his sentence. He’ll be 74 on Feb. 17, 2033, when federal prison in Milan, MI, will release him. Denial of their petitions for rehearing or Rehearing En Banc, which means the entire court, says the 21-page opinion by the original three-judge panel will stand. It denied appeals to the Parnell brothers and Mary Wilkerson, who worked with them at the now defunct Peanut Corporation of America. Wilkerson has two years remaining for her convention for obstruction of justice. The 44-year old is serving her time at a co-ed prison in Marianna, FL. Federal Judges Gerald Bard Tjoflat, 88; Lanier Anderson, 81; and Bev Martin, 62 joined in a per curium decision that denied all the Parnells’ appeals and upheld the decisions made by the trial court judge. Per curium means the decision is issued in the name of the Court, not any specific judge. A 2014 jury trial that was presided over by U.S. District Court Judge W. Louis Sands, a senior judge serving in the Middle District of Georgia, convicted the the Parnell brothers and Wilkerson. Stewart Parnell was the chief executive officer of the Lynchburg, VA-based Peanut Corporation of America before that trial. Michael Parnell was associated with PCA as a peanut broker, and Wilkerson managed quality control at the company’s Blakely, GA, peanut processing plant. In late 2008 and early 2009, peanut butter and peanut paste from that Blakely facility were linked to a multistate Salmonella outbreak that sickened thousands and caused at least nine deaths. After a four-year investigation led by the FBI, the U.S. Attorney for the Middle District of Georgia indicted five executives for fraud, conspiracy, and other charges stemming from the outbreak. Two of the five decided to plead guilty instead of going to trial. PCA’s former Blakely plant manager, 53-year-old Samuel Lightsey, has already been released after being incarcerated for less than three years. Daniel Kilgore, 49, was an operations manager in Blakely. He’ll be released on Jan. 30, 2021, after serving six years. Lightsey and Kilgore agreed to testify for the government at the 2014 trial in exchange for reduced sentences. At trial, the 12-member jury found Stewart Parnell guilty on 67 federal felony courts and Michael Parnell was found guilty on 30 counts. The lawsuit was officially deemed to be a “complicated criminal case” because of the many moving pieces. Government prosecutors convinced the jury that the Salmonella outbreak was the product of a mammoth criminal conspiracy involving fraud, wire fraud, obstruction of justice and knowingly allowing both adulterated and misbranded food into interstate commerce. The purpose of the conspiracy was to make money, not to poison people. But the outbreak and recall of almost 4,000 products made with PCA peanut butter or peanut paste as ingredients were outcomes of those business practices. The three-judge panel said the defendants defrauded its customers regarding the safety of its peanut products. Other evidence found credible by the panel concerned how PCA avoided telling Kellogg’s if a shipment had tested positive for Salmonella. Michael Parnell was the critical link between PCA and tanker shipments of peanut paste going to Kelloggs. Weil drew a picture involving jury misconduct, use of extrinsic evidence obtained from outside the courtroom and the trial judge’s conduct during his investigation of the jury to persuade the jurists to call for a new trial. But they did not come around to Weil’s viewpoint.